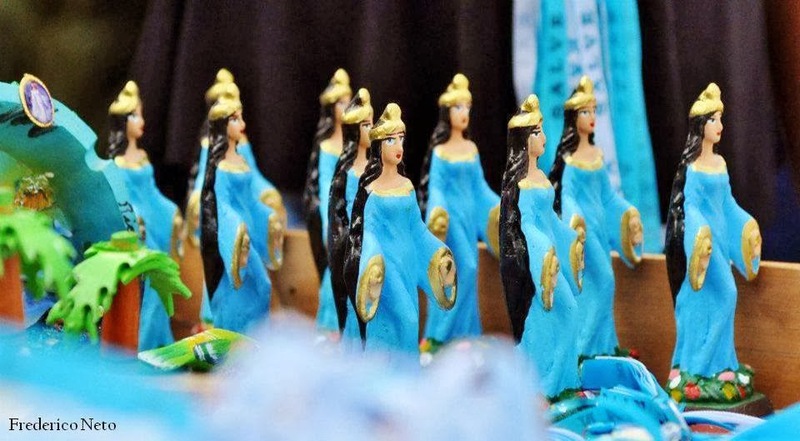 The Festa de Yemanja is a cultural festival in honour of the Sea Goddess Yemanja who is considered to be the Queen of the ocean and patron of fishermen. February 2nd. 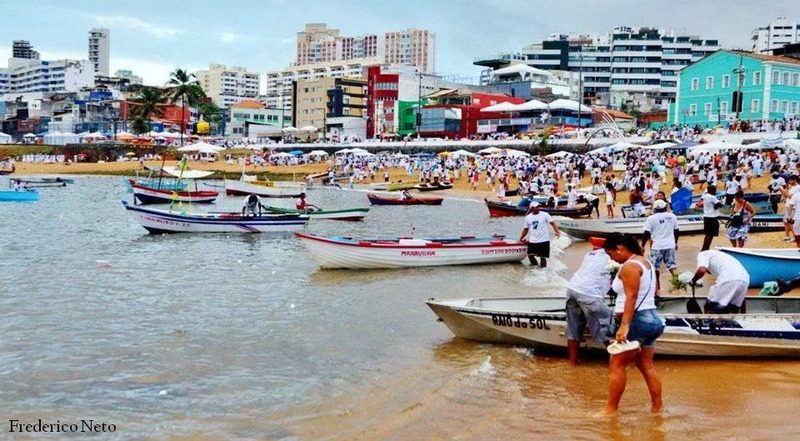 One of Salvador's most beloved (and beautiful) street parties, and another exemplar of melding of the sacred and profane in Salvador. 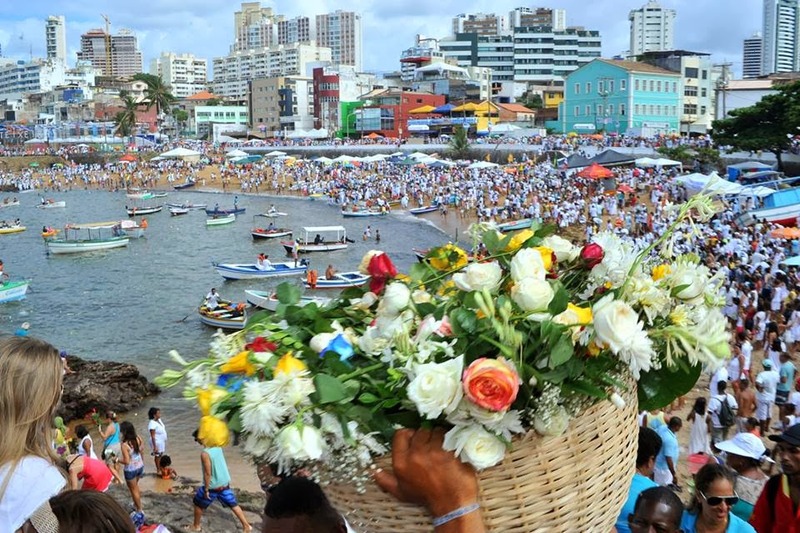 The morning of the 2nd is announced with the sound of fireworks (at 5:00 a.m.), and the devotees wearing white clothing make a large procession to Yemanja's shrine in Rio Vermelho to give offerings, which often include flowers and perfume. 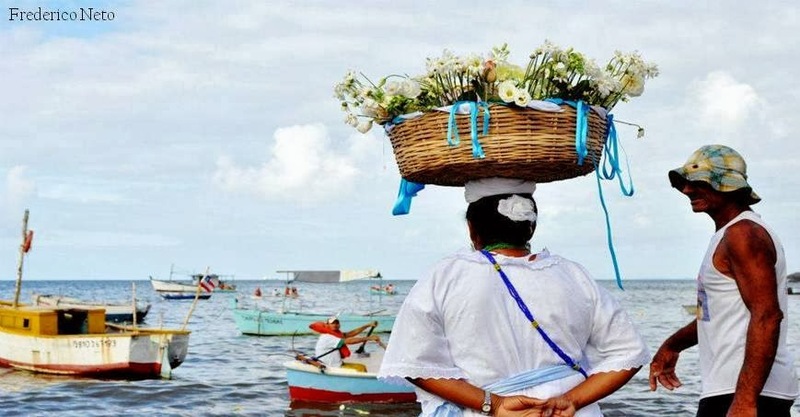 These offerings are taken to the waters edge in baskets and taken out to sea by the local fishermen, at 4 p.m. or so and will make their way 6 miles out into the waves where they place the gifts' baskets floating upon the water. 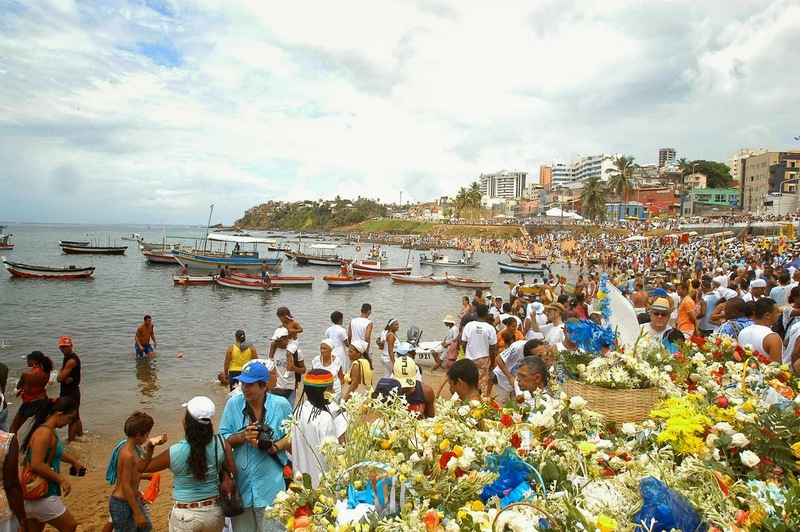 The offerings are left in the Casa do Peso (the weighing house used by the local fisherman). 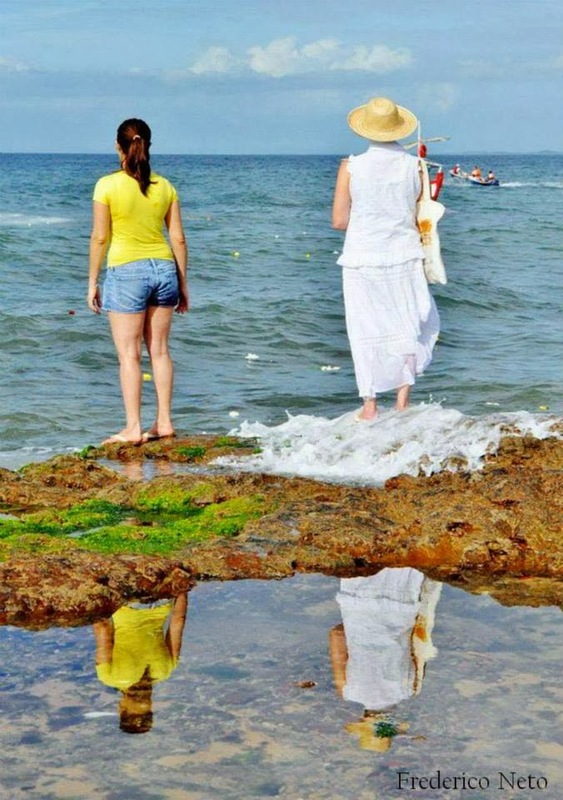 The Offerings which do not return to shore are deemed accepted. After the offerings have gone out to sea there are great festivities which often include music and dancing.